Our latest featured speaker is Christine Alden from Buchanan Ingersoll & Rooney! Christine will be speaking for us at our upcoming Immigration 101 South Florida Conference in Fort Lauderdale on October 18-19! Christine has previously spoken for us at our 2016 Immigration 101: A Comprehensive Immigration Practice Program where attendees said she was very knowledgeable and extremely professional. Welcome back, Christine! Christine J. Alden provides customized immigration solutions for a global clientele. As a naturalized citizen herself, she recognizes the importance of U.S. citizenship and the opportunities and security it brings. She is also able to identify with each and every one of her clients, no matter the situation or walk of life. Christine serves individual clients, especially unique and complex cases, as well as business and corporate clients across a variety of industries – in the U.S. and abroad. Over the last two decades, Christine has helped countless individuals successfully immigrate to the U.S. including foreign nationals and entrepreneurs investing in the U.S. and creating jobs. She has helped meet the business needs of American companies in securing visas to bring their skilled workers, multinational executives and managers to add to their workforce and contribute to the U.S. economy. Additionally, she has helped individuals who qualify to self-sponsor in the extraordinary ability and national interest waiver categories obtain permanent residence. She has also been honored to help reunite families and loved ones, creating a positive impact on their lives and helping strengthen their communities. Her entire career has been focused solely on immigration. 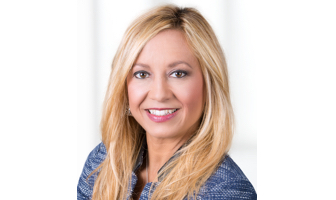 She is currently the President-elect of the South Florida chapter of the American Immigration Lawyers Association (AILA). Within the AILA South Florida, she is the Chair of Budget for the association, Coordinator of National Day of Action which consists of organizing lobbying efforts to implement common sense immigration reform, Vice Chair of the Customs and Border Protection Liaison Committee and Vice Chair of the Diversity and Inclusion committee. Christine is also the President of the British American Business Council of Miami and very involved with the local European Union Chamber joint events.